Panera boxed lunches were piled high on Friday, Mar. 29 in the third floor connector as students gathered for student senate’s final Open Space of the semester. The focus of the discussion was working to improve the relationship between student-athletes and the rest of campus. The event was attended by non-athletes as well as representatives from many teams, including baseball, cross-country, softball, soccer, track and field, tennis and volleyball. All student senate members were present, along with Harold Watson, athletic director, who arrived with Emily Osborne, assistant athletic trainer and Samantha Emmart, coordinator of compliance and student services. 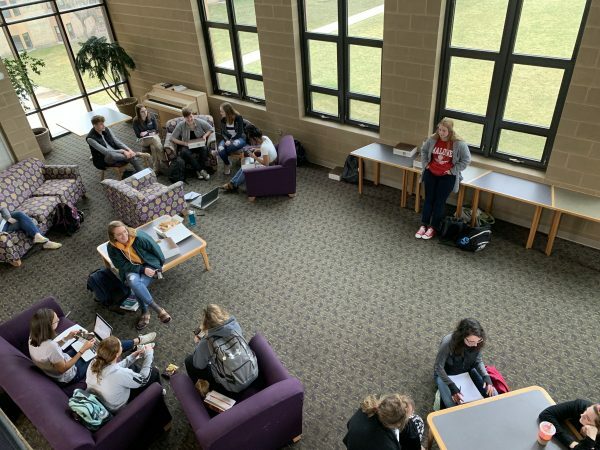 The attendees then broke up into smaller groups, each consisting of athletes, non-athletes and a leader from either SAAC or senate to facilitate and take notes on the discussion. One group facilitator was Chelsea Foster, a leader of SAAC, member of the cross country and track and field teams as well as a Student Ministry Leader. Foster explained that bridging the gap between athletes and other students is a topic of great importance to her. 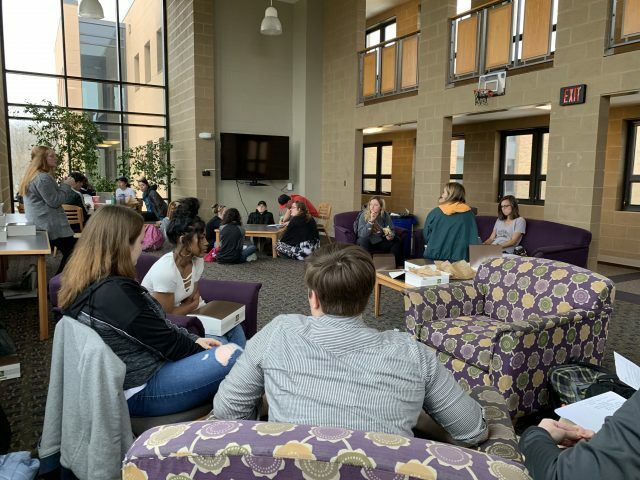 After introductions, groups discussed how they perceived the connection between athletics and the rest of the Goshen College community. The majority agreed that there could be improvements and went on to discuss what these could be. The next discussion point was how much support the group felt from their respective co-curriculars and what kind of support they wanted if they felt that they weren’t receiving enough. Khampha Stemple, president of student senate, explained that the Open Space was a way to better understand how the students are relating to one another on campus. Leaders from both SAAC and senate were in agreement that the event was a success. The two groups will continue to work together by evaluating the main points that were brought up from the discussions and look for common patterns. “After evaluating the information, we will be able to determine what action steps need to be set in place,” Stemple said.